The big white tent at Falcon Ridge Folk Festival last year following a day time music workshop. 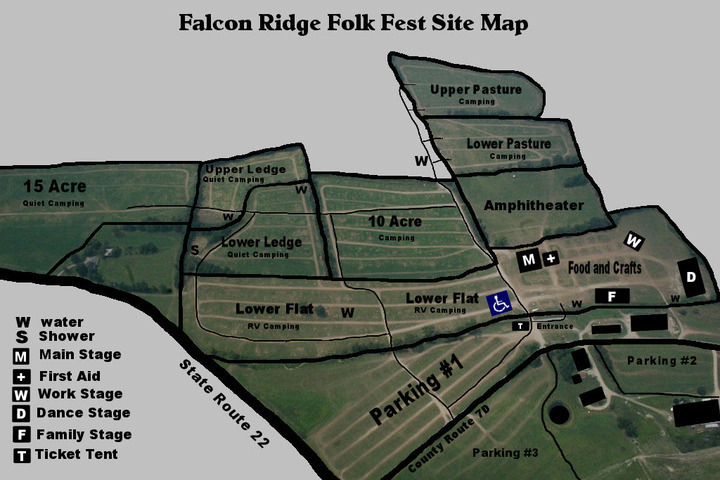 Please use this space to communicate about all things related to Falcon Ridge and the Tribes Hill/AcousticMusicScene.com camp. 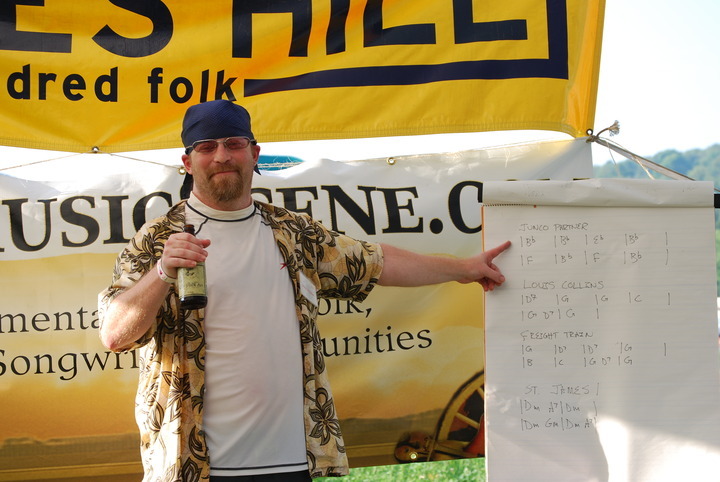 A Tribes Hill annual "must attend" event. Many community artists performing this year including Spuyten Duyvil, Red Molly, Gandalf Murphy and Brother Sun. Come visit us at the Tribes Hill camp in the lower meadow. This year we will be joined at our camp by Stuart Kabak and the Jack Hardy pirate camp. The big white Tribes Hill tent will be available to use for circles or workshops during the day. Please sign up below to reserve a time.